Cofilea is founded in 2005 in Biella, in the north-west of Italy. In 2013, we patented ET-1000 a electric heating technical textile. Cofilea uses this to produce: EH-POWERGROUND. 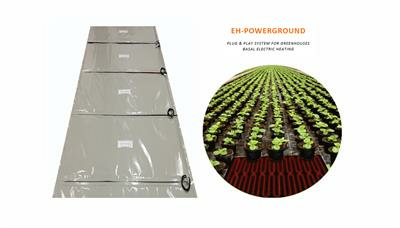 It is a light, water-resistant radiant mat, that can be used for flower farming and horticulture as ground heating on racks, with the purpose of reducing and controlling the duration of the growing period, between the seeding or transplantation and the moment of marketability of the plant. This system is characterized by efficiency reliability and durability, as well as by its easy removal and new installation. EH-POWERBELT. It is a mobile electric heating system, which is applicable on tanks and cisterns to facilitate the fermentation or to maintain a smooth fluidity for the production of wine, oil, vinegar, beer, fruit juices and honey. This system is characterized by efficiency reliability and durability, as well as by its easy removal and new installation.